For all those people who dream of owning a luxury accommodation in Singapore in an ideal location, Whistler Grand, once completed, will turn their dream into a reality. This 99-year leasehold development is slated to have all the features and amenities that an individual looks for in an ideal home. It is helmed by City Developments Limited (CDL Pegasus Pte Ltd), who are efficiently managing a few other developments in Singapore. The location of this project is among the top reasons why it has become most anticipated projects since launched. It is located in the western part of Singapore that is termed as a home for the future. The address of this site where Whistler Grand is located is 105, 107 & 109 West Coast Vale. In order to give the residents of this building a luxurious lifestyle, this development will come with extensive features. There will be no parking hassles as it will have a huge parking area covering two basements. There will be parking space for minimum 716 cars. In addition to that, there will be a large swimming pool, a function hall for events, gymnasium, and various other features. A number of 69 One-bedroom units will be there in this development and the number of single bedroom plus study will be the same as well. These units are ideal for individuals or couples seeking a luxurious residence. The development will have 165 Two-bedroom and 105 Two-bedroom plus study units. For families looking for larger units, there are Three, Four, and Five bedroom units as well; all in different sizes. The number of Three-bedroom and Three-bedroom premium plus flexi units is going to be 70 each while 35 Three-bedroom dual key units will be there in this development. 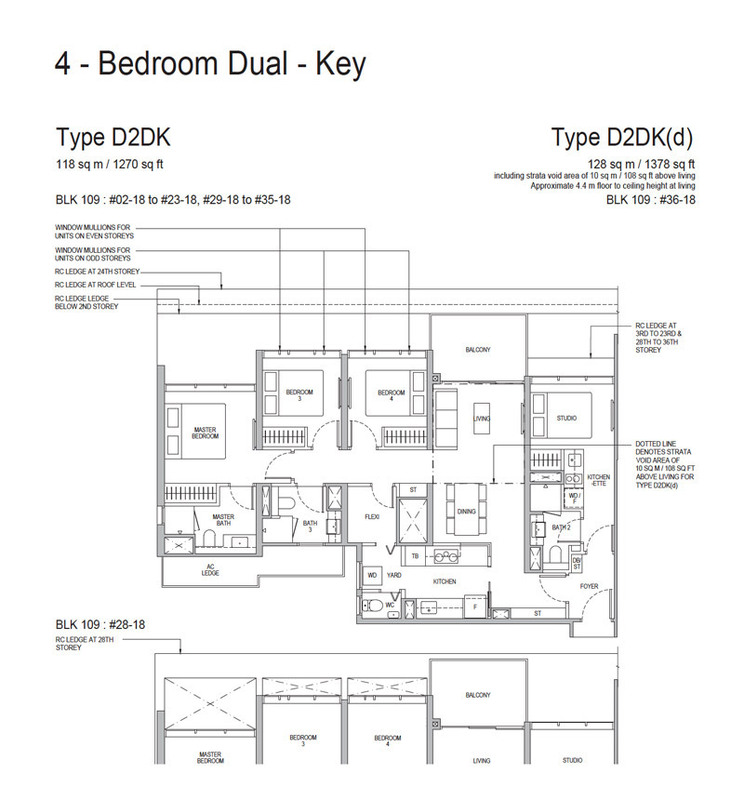 Shedding light on Four-bedroom units, they will be 60 simple ones and 31 with a dual key. There will be 34 Five-bedroom units and 2 penthouses each having Five bedrooms and a flexi. Just like the exterior, the interior of this development is also going to be nothing short of exceptional. Professional and experienced designers will be designing its interior of each unit to give it a luxurious look. Thus, whether you are planning to buy a single bedroom or a 5-bedroom unit in Whistler Grand, you will get a condominium that will be designed to perfect and have all the remarkable features. If you are fond of reading books, you can head to either Jurong Regional Library or Clementi Public Library located near the site of Whistler Grand. Due to all these features, Whistler Grand is slated to be a hot property for people living in Singapore once it is completed. Right from the natural view it is designed to offer to various other luxurious residents will get to enjoy, there is nothing that this residential project doesn’t have to become an ideal one. Being next to the Jurong Lake District, Whistler Grand is literally next to Singapore’s Second Central Business District. With the upcoming Jurong Regional Link, Cross-Island MRT line in the near future, this development is the definitely a highly-sought development for both homebuyers and investors. The One North Business Park which comprises of companies specialising in High Technology and Research and Development is also just a short drive away. From $622,000 onwards for a One bedroom, Indicative PSFs : From $12xxk only. Showflat of Whistler Grand will be open on 20th October 2018. Register your interest to visit our Sales Gallery.